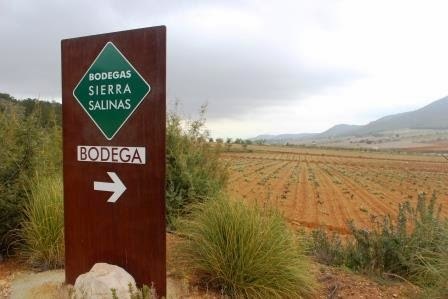 Bodega Sierra Salinas is a modern sustainable facility located near the small town of Villena in the Spanish denominacion de origen of Alicante. They strive to use modern methods with respect for tradition. 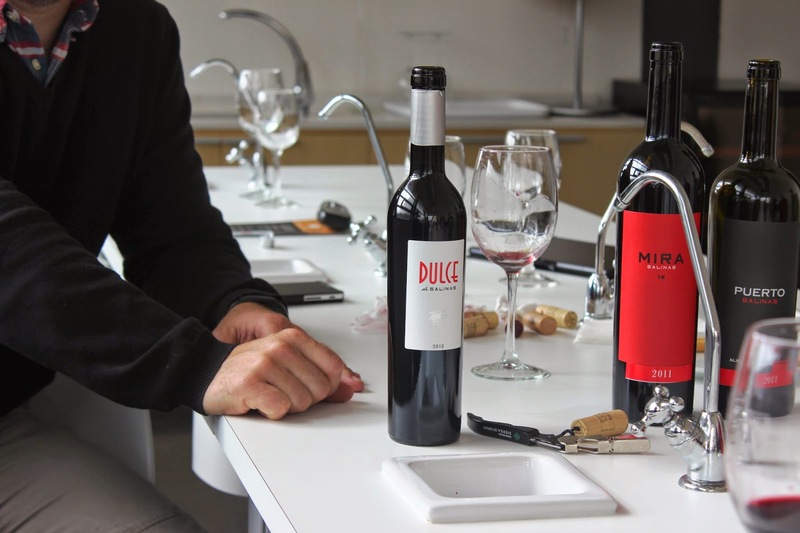 Working to find local varieties that succeed and presenting these grapes with authenticity, honors the personalities of the old vines. 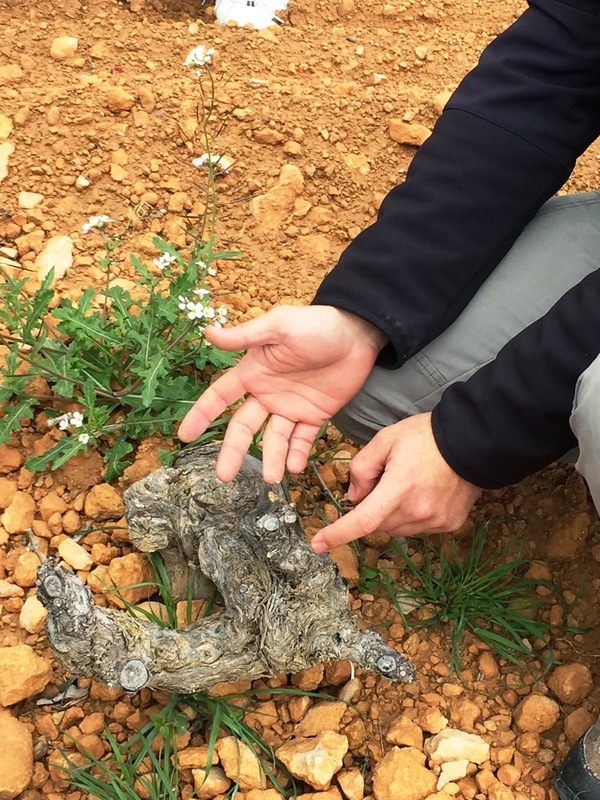 Old vines , in this case 46 - 70 years old, have very small annual growth and require nurturing and attention, which they get from the Bodegas Sierra Salinas team. Best of all, they are delicious! 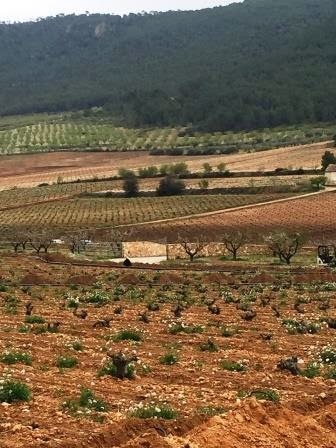 In the photo to the right, you can see, where soil is darker, an area where Monastrell thrives and has been for more than 70 years. 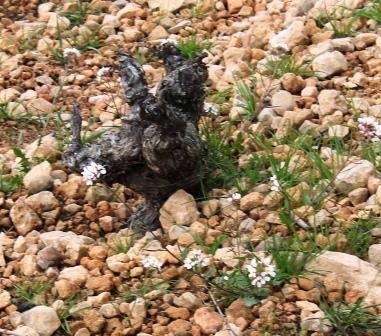 Each vine has only one or two roots that can go deep enough to find moisture, which is very important in dry years. The last few years have been so dry, that the winery installed drip irrigation. Sustainability is important, but survival is even more so. Salinas 1237 2009 named for the meter height of the namesake mountain. Aromas of cinnamon strawberry eucalyptus and baking spice. Satiny mouth feel. Pleasant tannins with a slight grip. Lovely vinous acidity with float of cinnamon to the finish. Fermented in open top barrels and undergoing malolactic aging 21 months in same barrel. Old vine monastrell 70 years. 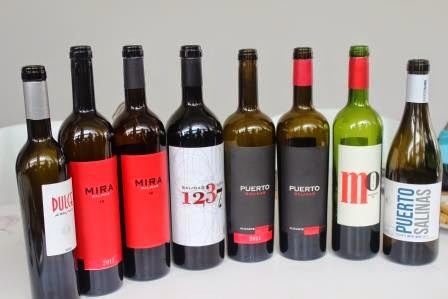 Small production of of this wonderful wine at 2000 bottles. It was a sweet ending to a fun visit to this lovely spot where the grape's struggle is our reward. 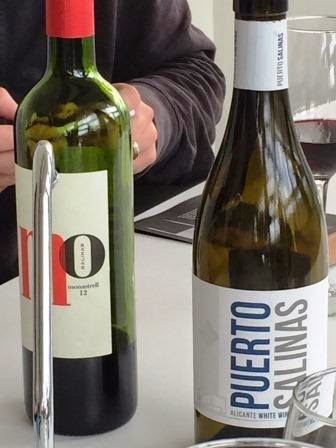 Balanced lovely wines and a wonderful team whose attention to detail drives quality in everything they do. 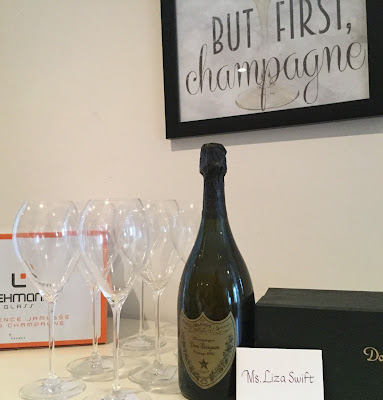 Many thank to MGW Group and Kraynick And Associates for hosting me! Now if only I can badger Wines.com or K&L to get these dainties back in stock!